Solstice Communications Welcomes Cider Summit Chicago - Solstice Communications, Inc.
Solstice Communications is excited to welcome Cider Summit Chicago, the region’s largest cider tasting, to its client roster. Cider Summit CHI will showcase nearly 200 ciders, meads and cider cocktails including regional favorites and international classics. While Chicago is one of four cities lucky enough to host Cider Summit—Chicago’s event is the country’s largest. The event offers a unique opportunity for guests to meet and greet cidermakers and taste both popular and new releases. As part of the Oaked Cider Challenge, presented by Enartis, several cider selections will be created specifically for the event. Attendees will be able to vote via text to crown the champion. Additional highlights include a Cider Cocktail Lounge area, presented by Woodford Reserve, expanded food pairings and the Cider Summit store. 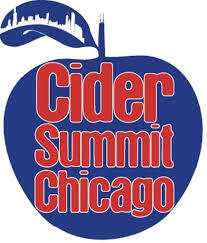 For the second year, Cider Summit will debut its collaboration cider at the Chicago event. This year’s collaboration partner is Tieton Cider Works. Look here to learn more about Cider Summit and how to purchase tickets. This 21 and over event will be held on Saturday, February 17, 2018 in two sessions – 11 a.m.-3 p.m. & 4 p.m.-8 p.m., in the Aon Grand Ballroom at Navy Pier. Attendees can choose from VIP or General Admission ticket options. Cider Summit Chicago celebrates local, regional and international artisanal ciders and cidermakers. Cider Summit benefits Heartland Alliance. For more information please visit CiderSummit.com, facebook.com/CiderSummit or follow them on Twitter or Instagram @CiderSummit. Hashtag #CiderSummitCHI.